Leading music streaming service Spotify.com has appointed ex-Sony Music (and ex-Pandora) exec Paul Brown as its UK Managing Director this month. Brown was previously a director at US-based personalised radio service Pandora and prior to that was a director at Sony Music. Revolution reports that Brown will "build upon Spotify's label relationships, establishing ties with artists and management, and overseeing business development with third party partners." Spotify is also releasing its new API this week – opening up the service to developers in the hope that versions will be created for a range of communications and entertainment devices such as games consoles, mobile phones and TV set-top boxes. 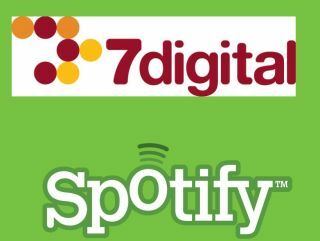 Spotify also recently teamed up with online music store 7digital to offer its users instant access to an online store for MP3 music downloads. Watch out, iTunes. It looks like the 'streaming versus download' war has just begun!